Donald ‘Trump of God,’ Cyrus, or Apocalyptic? « Did Early Christians observe Easter or Passover? Does the ‘Cyrus prophecy’ help explain evangelical support for Donald Trump? Donald Trump is anointed by God,” my Indianapolis Uber driver confided. I’d asked why she had Trump/Pence stickers on her rear bumper. It was the day before the presidential election and I would have asked anyone, but I was particularly interested because she was a decorous, middle-aged black woman. I told her I understood. Still, I wondered how she could support someone so greedy and self-aggrandizing, so profane and offensive to women and minorities, someone who seemed so “un-Christian”. Did her whole congregation believe this, and who were they? “Oh yes,” she said. “We all do. And we’re multicultural, too. Black and white and Hispanic. Although,” she added, as I was getting out of the cab, “There are also many who believe that Mr Trump is not Nebuchadnezzar but a Cyrus.” Nebuchadnezzar, I remembered, had destroyed the first temple in Jerusalem, forcing the Jews into the Babylonian captivity. Cyrus, the pagan Persian king who was called “the Great”, had conquered Babylon in 539 BC, freed the Jews, and returned them to Jerusalem where they would rebuild the temple. He might not have been one of God’s people, the thinking among some Christians goes, but he still served God’s plans. The belief that a politician is the subject of biblical prophecy gives his election an aura of inevitability and his actions an unquestionable authority. In the year of his campaign, Trump was described by a variety of religious supporters as “the last Trumpet” who would galvanize the second coming of Christ, and a modern King David, as well as Nebuchadnezzar. Most often, however, he was recognized as “Cyrus”. To Wallnau, the message was clear. Trump had been elected by God and would soon be elected by Americans to fulfill the prophecy. He was a warrior against the global “demonic agenda”, “raising the warning cry about the unraveling of America.” Trump’s obvious faults and flaws only confirmed the prophecy: Cyrus, like Trump, was powerful, rich, and pagan, not at all godly. It’s impossible to know how many voted for Trump believing he was a Cyrus, fulfilling Biblical prophecy, but there are hints. Do not count on Donald Trump overturning the LGBT agenda nor, unless he truly repents, turning the nation to righteousness. Perhaps I should add that although Donald Trump did attribute a quote to Cyrus the Great this week, experts say that Cyrus did not actually state that (though some believe otherwise). All the kingdoms of the earth the Lord God of heaven has given me. And He has commanded me to build Him a house at Jerusalem which is in Judah. 3 Who is among you of all His people? May his God be with him, and let him go up to Jerusalem which is in Judah, and build the house of the Lord God of Israel (He is God), which is in Jerusalem. 4 And whoever is left in any place where he dwells, let the men of his place help him with silver and gold, with goods and livestock, besides the freewill offerings for the house of God which is in Jerusalem. 5 Then the heads of the fathers’ houses of Judah and Benjamin, and the priests and the Levites, with all whose spirits God had moved, arose to go up and build the house of the Lord which is in Jerusalem. 6 And all those who were around them encouraged them with articles of silver and gold, with goods and livestock, and with precious things, besides all that was willingly offered. Donald Trump is NOT doing the same thing and the Cyrus prophecy was fulfilled thousands of years ago. But various Protestants and some others have attempted to claim that Donald Trump is a modern day Cyrus and/or the “trump of God” (e.g. http://myemail.constantcontact.com/Has-God-Raised-Up-a-King-Cyrus–.html?soid=1111272225814&aid=n0ARlA9mD3Q). But know this, that in the last days perilous times will come: 2 For men will be lovers of themselves, lovers of money, boasters, proud, blasphemers, disobedient to parents, unthankful, unholy, 3 unloving, unforgiving, slanderers, without self-control, brutal, despisers of good, 4 traitors, headstrong, haughty, lovers of pleasure rather than lovers of God, 5 having a form of godliness but denying its power. And from such people turn away! (2 Timothy 3:1-5). Are not Christians to turn away from those who have characteristics listed above? Does not Donald Trump have many of those characteristics? Yet, for those who hail him as the one to save the USA, they need to consider that evil is still evil. But certain Protestants are convinced Donald Trump is the answer. Despite what the above claims, Donald Trump, thus far, has not focused much on national sins of the USA, but has had his own issues with lies. First, Paul wrote to the Church at Thessalonica, “But I would not have you to be ignorant, brethren, concerning them which are asleep, that ye sorrow not, even as others which have no hope. For if we believe that Jesus died and rose again, even so them also which sleep in Jesus will God bring with him. For this we say unto you by the word of the Lord, that we which are alive and remain unto the coming of the Lord shall not prevent them which are asleep. For the Lord himself shall descend from heaven with a shout, with the voice of the archangel, and with the trump of God: and the dead in Christ shall rise first: Then we which are alive and remain shall be caught up together with them in the clouds, to meet the Lord in the air: and so shall we ever be with the Lord. Wherefore comfort one another with these words” (I Thess. 4:13-18). This is Chapter 1 of a series of signs from God, of the Apocalypse and Mr. Trump is one of those signs! All Biblical musicians know that the last trump equals a musical note! So that would mean the last note or sound coming out of the trumpet! So when Mr. Donald J. Trump speaks his last word, that will be the last note. This is a spiritual sign! So you will use the living words of GOD in the past to interpret the future! Let it be explicitly stated that all end time biblical prophecy will not be wrapped up by 2019 (for some details, check out the article: When Will the Great Tribulation Begin? 2017, 2018, or 2019?) and the Church will NOT be raptured to heaven because of Donald Trump (see Is There A Secret Rapture for the Church? When and Where is the Church Protected?). Furthermore, I do not believe that Donald Trump’s name is specifically related to scriptures in 1 Thessalonians 4:13-18 or 1 Corinthians 11:51-53. At this stage I do not believe it is possible that Jesus will return during a Donald Trump presidency, we would need to see the deal of Daniel 9:27 confirmed by no later than the Fall of 2017 for that to be the case (see The ‘Peace Deal’ of Daniel 9:27 )–and that currently does not seem likely. While I understand why certain Protestants support Donald Trump (as well as why certain other Protestants cannot stand him), those who believe that one who believes so much in debt is the answer for the USA simply overlook scripture. Donald Trump is apocalyptic. There are at least 20 ways, including the timing of his political rise, that make him apocalyptic (see the book Donald Trump and America’s Apocalypse and/or watch the video Donald: ‘Trump of God’ or Apocalyptic?). Of course, you may wish to discount what I wrote and prefer to believe that others are correct. But before you do, do not forget that the prophecy in 2 Timothy 3:1-5 tells real Christians to turn away from people with Donald Trump’s characteristics (by writing this, I am NOT saying that Hillary Clinton was the answer for the USA–she too is covered by 2 Timothy 3:1-5 and made many evil declarations–but even the lessor of two evils is still evil–and God only knows which of those two is actually more evil). Furthermore, let me add that six or seven predictive warnings I posted at COGwriter.com have already been started to be fulfilled after Donald Trump was elected last November. Details are in the article Donald Trump in Prophecy. Although I understand why many hope otherwise, Donald Trump is NOT an end-time Cyrus the Great nor is he the final “trump of God.” Any who believe otherwise are deceived. The USA needs true national repentance and the Kingdom of God. Donald Trump has not advocated either. This entry was posted on Friday, March 24th, 2017 at 6:00 am	and is filed under Prophecy, Religious News. Sanhedrin Mints Silver Half Shekel With Images of Trump and Cyrus: Is the ‘third temple’ necessary for a successful Trump presidency? 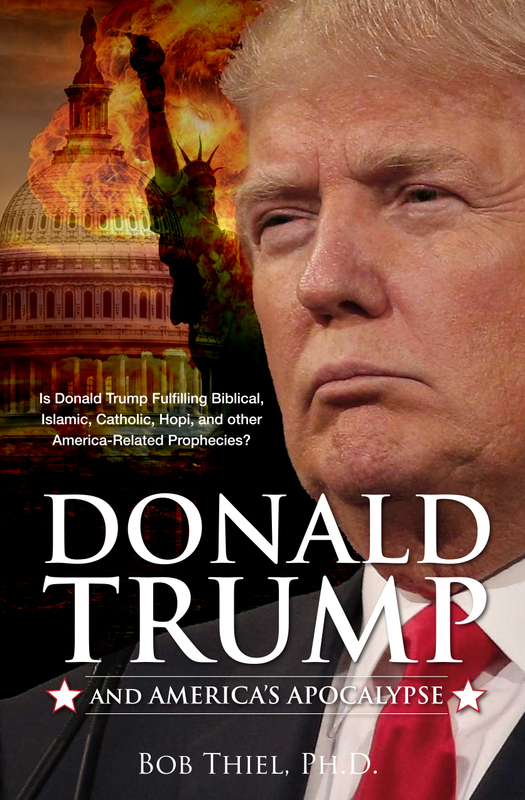 BNP: Donald: ‘Trump of God’ or Apocalyptic?